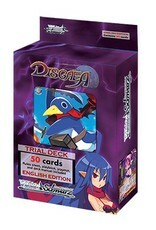 A new Trial Deck for Disgaea is releasing, dood! 2 types of exclusive RRR Foil cards and 1 SP Gold Foil/Hot Stamp signed card from the following Japanese voice actor are randomly inserted in decks!!! 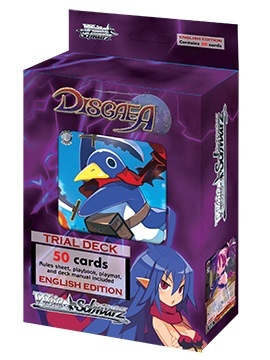 18 exclusive cards not found in the booster packs are included in this Trial Deck!